The leaves are changing color and the smell of autumn is in the air. 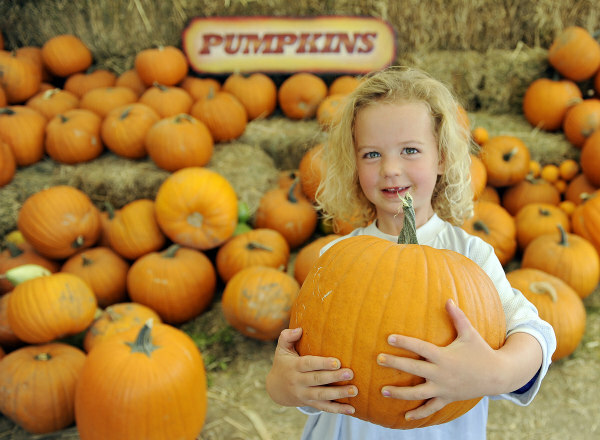 That means it’s time for family fun at Harvest Farm’s 16th Annual Fall Festival & Corn Maze! 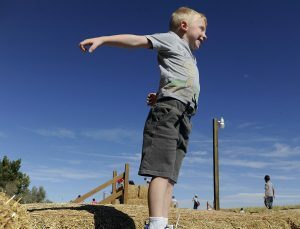 While there are other corn mazes to choose from, Harvest Farm’s Fall Festival & Corn Maze offers so much more than just twists and turns. In fact, the event serves to advance Denver Rescue Mission’s mission statement in several ways. First, it promotes “productive, self-sufficient citizenship” by involving the New Life Program participants in the preparation and operation of the festival. For example, the men use their God-given talents and trade skills like carpentry, electrical work and welding to construct nearly all of the festival grounds. Others in our program have artistic talents which are channeled into the design and creativity of the attractions. Because everything is meticulously hand-crafted with love, it sets our festival apart from the other fall festivals. Additionally, the men assist with the festival operations by staffing the attractions. From greeting guests as they enter the corn maze to preparing hand-popped kettle corn, the men are a critical part of the event. By providing opportunities for our men to engage with festival guests, they have a chance to shatter guests’ stereotypes of what it means to be an “addict” or “homeless”. With these interactions, our men begin to realize these terms are simply labels; it does not define who they are as person. Through hard work and positive reactions from festival guests, they gain a sense of self-worth and pride. For many, this is a new and welcomed feeling. The Fall Festival also provides a chance for the community to learn about how Harvest Farm is “changing lives in the name of Christ.” Taking turns as hay wagon tour guides, our program participants explain to guests the unique opportunities for life change through the New Life Program. They share personal stories of obstacles they’ve faced, challenges they’ve overcome and their hopes for the future. This aspect makes our Festival so unique and truly sets us apart from the competition. Attending the Fall Festival means guests are directly supporting the New Life Program and helping once broken men turn their lives around. Proceeds from ticket purchases, concessions and merchandise sales are reinvested into the program to ensure it thrives for years to come. 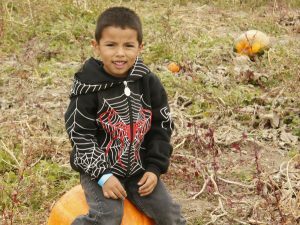 Not only does the Fall Festival & Corn Maze provide opportunities for fall time family fun, it supports a great cause. We hope you’ll join us this October! For more information about the event and to purchase tickets, visit: www.harvestfarm.net/fall-festival. Mile High Mamas is giving away two family four-packs of tickets! You may enter as many as five times below. Get the latest news, tips and events from Mile High Mamas! Sign up here to get our weekly newsletter.